With the Windows 10 April 2018 Update, Microsoft is launching a number of new features for its desktop operating system today. Most of those apply to all users, but in addition to all the regular feature updates, the company also today announced a couple of new features and tools specifically designed for its business users with Microsoft 365 subscriptions that combine a license for Windows 10 with an Office 365 subscription and device management tools. According to Brad Anderson, Microsoft’s corporate VP for its enterprise and mobility services, the overall thinking behind all of these new features is make it easier for businesses to give their employees access to a “modern desktop.” In Microsoft’s parlance, that’s basically a desktop that’s part of a Microsoft 365 subscription. But in many ways, this so much about the employees but the IT departments that support them. For them, these updates will likely simplify their day-to-day lives. The most headline-grabbing feature of today’s update is probably the addition of an S-mode to Windows 10. As the name implies, this allows admins to switch a Windows 10 Enterprise device into the more restricted and secure Windows 10 S mode, where users can only install applications from a centrally managed Microsoft Store. Until now, the only way to do this was to buy a Windows 10 S device, but now, admins can automatically configure any device that run Windows 10 Enterprise to go into S mode. It’s no secret that Windows 10 S as a stand-alone operating system wasn’t exactly a hit (and launching itat an education-focused event with the Surface Laptop probably didn’t help). The overall idea is sound, though, and probably quite attractive to many an IT department. The main surprise here is actually that S mode is already available now, since it was only in March that Microsoft’s Joe Belfiore said that it would launch next year. Another part of this update is what Microsoft calls ‘delivery optimization” for updates. 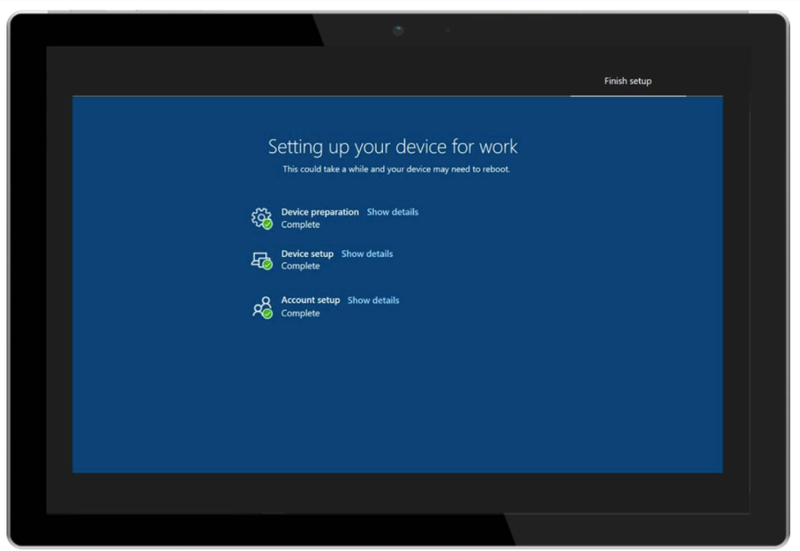 With this, a single device can download an update and the distribute it to other Windows 10 devices over the local network. Downloads take a while and eat up a lot of bandwidth, after all. And to monitor those deployments, the Windows Analytics dashboard now includes a tab for keeping tabs on them. Another new deployment feature Microsoft is launching today is an improvement to the AutoPilot service. AutoPilot allows IT to distribute laptops to employees without first setting them up to a company’s specifications. Once a user logs in, the system will check what needs to be done and then applies those settings, provisions policies and installs apps as necessary. With this update, AutoPilot now includes an enrollment status page that does all of this before the user ever gets to the desktop. That way, users can’t get in the way of the set-up process and IT knows that everything is up to spec. A number of PC vendors are now also supporting AutoPilot out of the box, including Lenovo and Dell, with HP, Toshiba and Fujitsu planning to launch their AutoPilot-enabled PCs later this year. 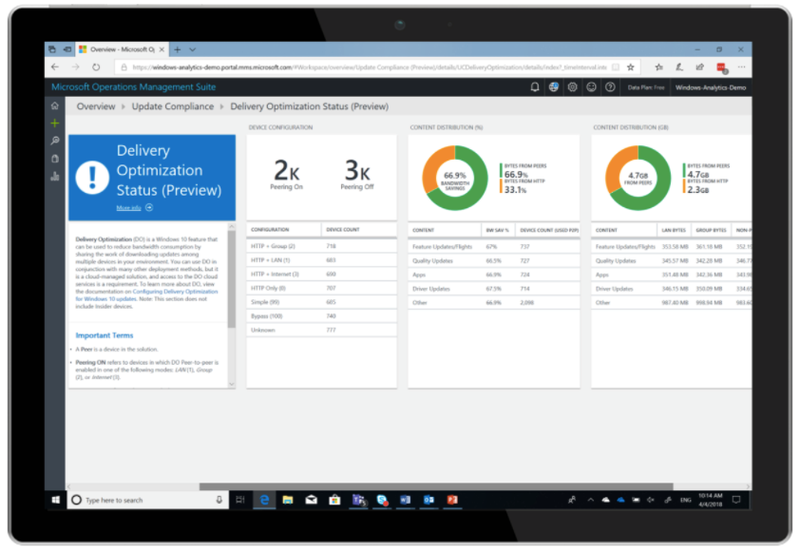 To manage all of this, Microsoft is also launching a new Microsoft 365 admin center today that brings all the previously disparate configurations and monitoring tools of Office 365 and Microsoft 365 under a single roof. One other aspect of this launch is an addition to Microsoft 365 for firstline workers. Windows 10 in S mode is one part of this, but the company is also updating the Office mobile apps licensing terms to add the company’s iOS and Android apps to the Office 365 E1, F1 and Business Essential licenses. For now, though, only access to Outlook for iOS and Android is available under these licenses. Support for Word, PowerPoint, Excel and OneNote will launch in the next few months. Posted in Software Development and tagged Enterprise, Microsoft, TC.